Prog metal from France formed in 1999, very melodic, with symphonic and neo classic elements. Formerly known as Gates Of Delirium and Amnesya. Played ProgPower EU in 2007, Prog Power USA in 2008, opened for Threshold’s European tour in 2009 (with Serenity) and supported Vanden Plas in 2011. The preview of the new album seems to show it as lighter, more melodic and symphonic than the previous release. Progressive power metal from California. 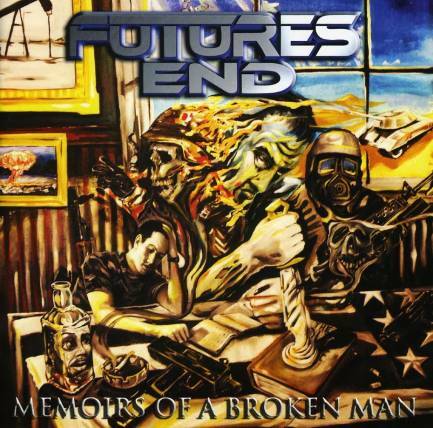 Futures End was formed by guitarists Christian Wentz and Marc Pattison in 2007. They were looking to draw upon their influences and create something challenging and exciting. Fred Marshall (Zero Hour) was the obvious choice as a singer, Steve DiGiorgio and drummer Jon Allen (Testament, Sadus) came on board to complete the line-up. Released one album so far in 2009 ‘Memoirs of a Broken Man’ (Nightmare Records) with guest vocals by Lance King (Pyramaze, Balance of Power) and Lucho Silva (Magistral). Futures End played their very first live show opening the Prog Power USA festival at it’s 10th anniversary in Atlanta Georgia. Also supported Symphony X in Houston. Six Minute Century is a prog/power metal band from Houston, Texas. The band was formed in 2004 playing locally in Houston. 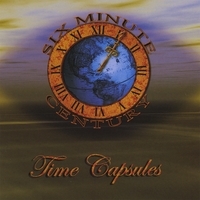 Six Minute Century signed to Nightmare Records in 2008, and the debut CD Time Capsules was released on March 18, 2008. The band has played many cities in the United States as well as festivals Rocklahoma, Rock The Bayou, Nightmare Metal Fest I and II, and ProgPower XI. Six Minute Century is currently finishing up the writing stage for its second, as of yet, untitled CD.